co-founder, Bestselling Author and purpose-driven entrepreneur. solutions – an industry on track to become a $22 billion market by 2022.
accountability to balance profit and purpose. 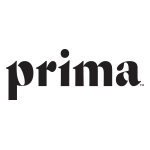 access and brand exclusives, sign up at www.prima.co. wellness and purpose-driven brand focused on hemp-based cannabinoids. balance is a critical part of overall health, happiness, and betterment. Club, and Venmo. For more information please visit www.greycroft.com.